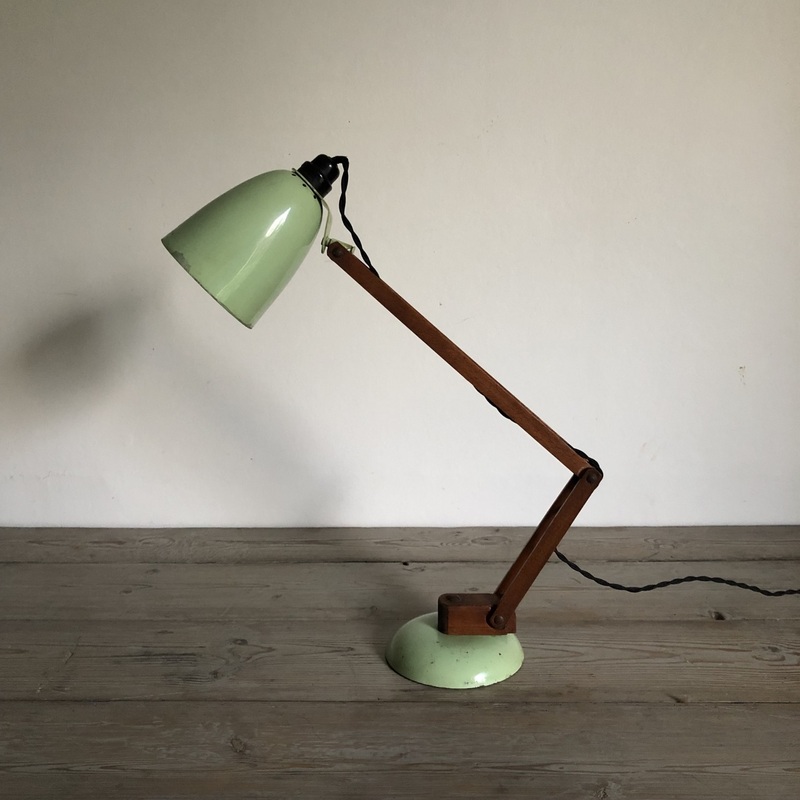 Vintage Maclamp desk/table lamp in pastel green with much sought-after wooden arms. In good vintage condition. Some scuffs and marks, commensurate with age, particularly on the base, but nothing which detracts. The wooden arms have mellowed to a lovely colour. A gorgeous and very collectable lamp.